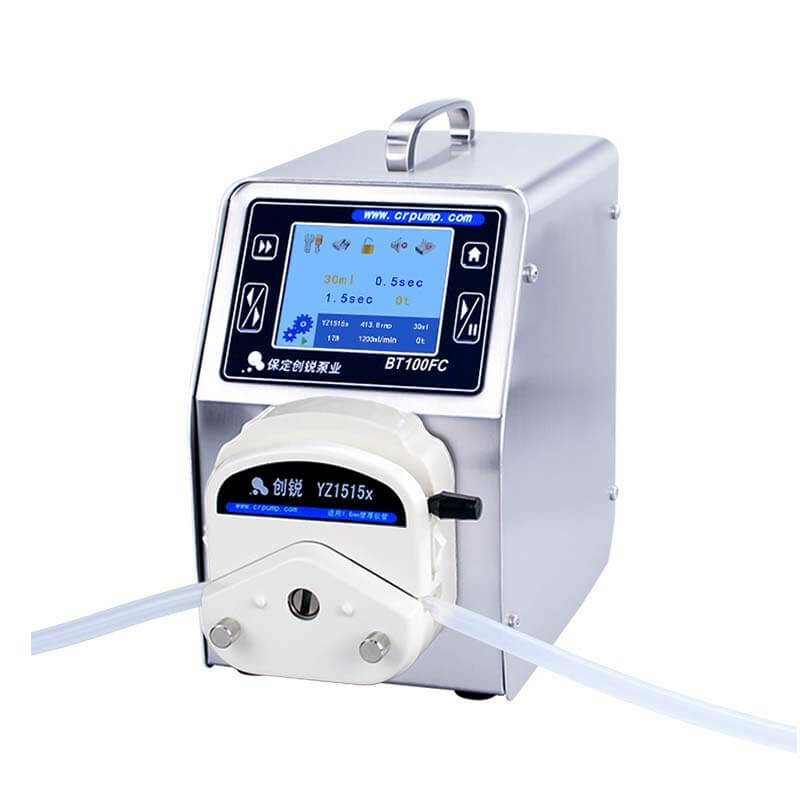 peristaltic pump piping configuration-Peristaltic pump,dispensing peristaltic pump,programmable peristaltic pump manufacturer - Chuangrui precision pump Co., Ltd.
(1) peristaltic pump suction line is larger than the pump inlet diameter of 1 ~ 3 or equal. (2)in order to facilitate maintenance and driving, the suction pipe should be set shut-off valve and as close as possible to the pump inlet, the same diameter, and tube diameter. (3)in order to protect the pump from being damaged, in close proximity to the pump suction line downstream of the shut-off valve, set the filter, usually T-type filter. (4) the discharge line should be set off valve, valve diameter, and pipe diameter. (5) the safety valve should be set between the outlet of the pump and the first valve. (6) the pump outlet should be set pressure meter, located on the straight pipe section between the pump and the outlet of the first valve. (7) in the peristaltic pump outlet pipeline, between the first valve and the pump should be set to put the net valve.